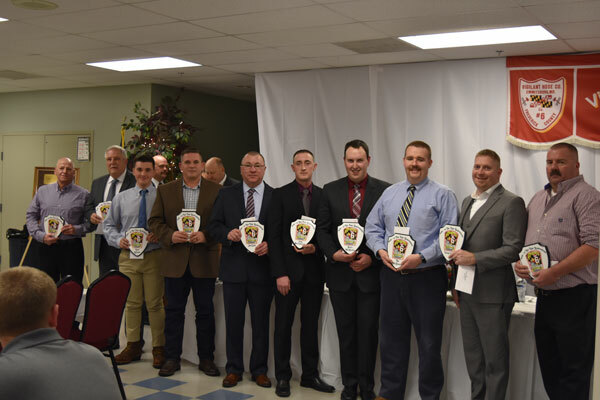 The 135th Annual Banquet of the Vigilant Hose Company (VHC) was held on Saturday, January 5, 2019, at the Vigilant Hose Company Activities Building on Creamery Road in Emmitsburg. Former Company president and current member, Tim Clarke, acted as master of ceremonies and delivered an enjoyable and comical presentation. Pastor Heath presented the prayer during the Memorial Service, held for four individuals who passed in 2018 and who belonged to the VHC: Ronnie Long, John Maly, Thomas White, and Linda D. Miller. Ronnie Long passed February 14, 2018. He was a carpenter by trade and was instrumental in several constructions, including the remodeling of the station’s kitchen, installing its first walk-in refrigerator, and overseeing the construction of the VHC’s permanent building at the Frederick Fair, which enabled the company to earn several hundreds of thousands of dollars and was a major fundraising event for years. Ronnie and his father were awarded the major renovation to the fire station in 1994, during which he went above and beyond to make sure the project was completed on time for the arrival of Tower 6. John J. Maly passed away June 5, 2018. He was a social member of VHC, but a life member of the Independent Hose Company in Frederick. He was instrumental in the creation of the Frederick County Fire Museum and served on its board of directors. Thomas W. White passed away August 3, 2018. He was a life member of VHC and served in many various positions. He was inducted to the VHC Hall of Fame in 1998 and was a past president of the Frederick County Volunteer Fire and Rescue Association. Linda D. Miller passed away September 17, 2018. 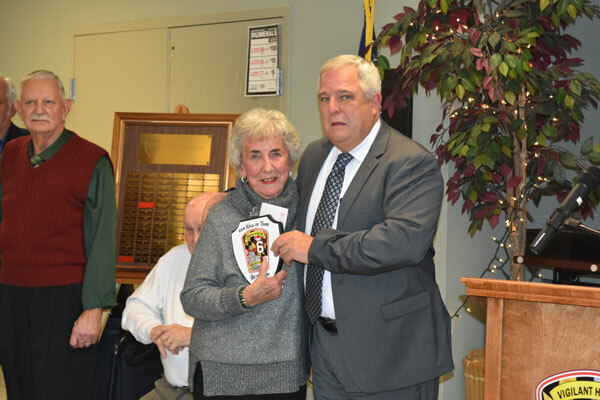 She was a member of the former Emmitsburg Ambulance Company and joined the Vigilant Hose Company when the two companies merged. She could often be seen volunteering during Bingos on Wednesdays and Fridays. Mary Lou Little, representing the Bingo Committee, indicated that the proceeds from an extra 50/50 allowed them to give $2,000 to the Emmitsburg Food Bank, $1,000 to the Seton Center Outreach, $1,000 to the Emmitsburg Lions Club Christmas Food Baskets, $1,000 to Emmitsburg Heritage Day Fire Works, $1,500 to Mother Seton School Scholarships, and $1,000 to Fire Prevention Committee for those in need of smoke detectors in the community. During the banquet, the 2018 Officers of the company were installed. 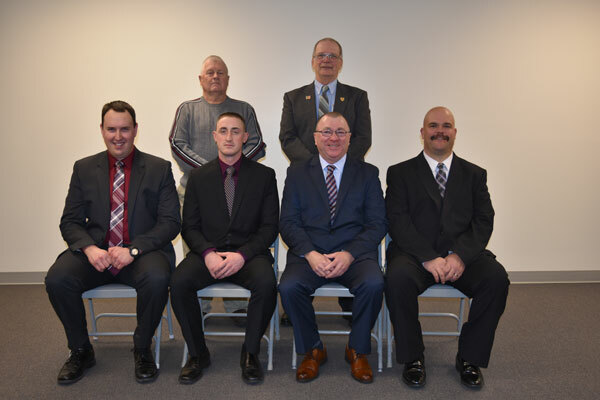 Tim Clarke said, “It is a pleasure to recognize those individuals elected or appointed by their peers who will lead the Vigilant Hose Company and its auxiliary in the year 2019.” The installation of officers was conducted by Frederick County Volunteer Service Directror, Kevin Fox. 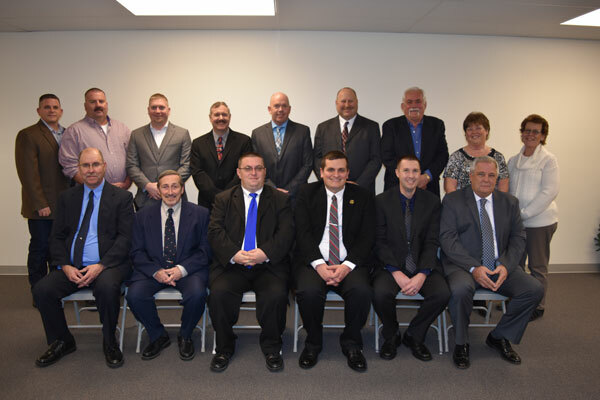 The 2019 Officers include: (Administrative Officers) President, Frank Davis; Vice President, David Stonesifer; Treasurer, Steven M. Hollinger; Assistant Treasurer, William Boyd, Jr.; Secretary, Thomas Ward; Assistant Secretary, Eric Stackhouse; Board of Directors, Pam Bolin, Tim Clarke, Vance Click, Mary Lou Little, Scott Maly, Randy Myers, Douglas Orner, Carl White, and Dave Zentz; (Line Officers) Chief, Chad Umbel; Deputy Chief, James Click; Assistant Chief, Joshua Brotherton; Captain, Alex McKenna; (Fire Police Officers) Captain, Tom Vaughn; 1st Lieutenant, Stephen Orndorff; 2nd Lieutenant, Samuel Cool. 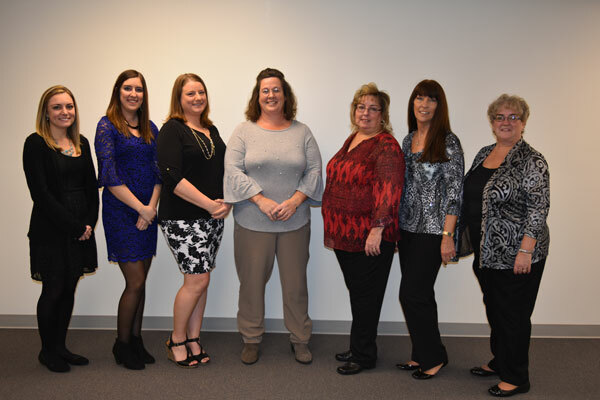 (Auxiliary Officers) President, Patty Kuykendall; Vice President, Sharel Boyle; Treasurer, Jo Ann Boyd; Secretary, Joyce Glass; Financial Secretary, Mandy Ryder; Co-Historians, Jennifer Boyd, and Katie Davis. 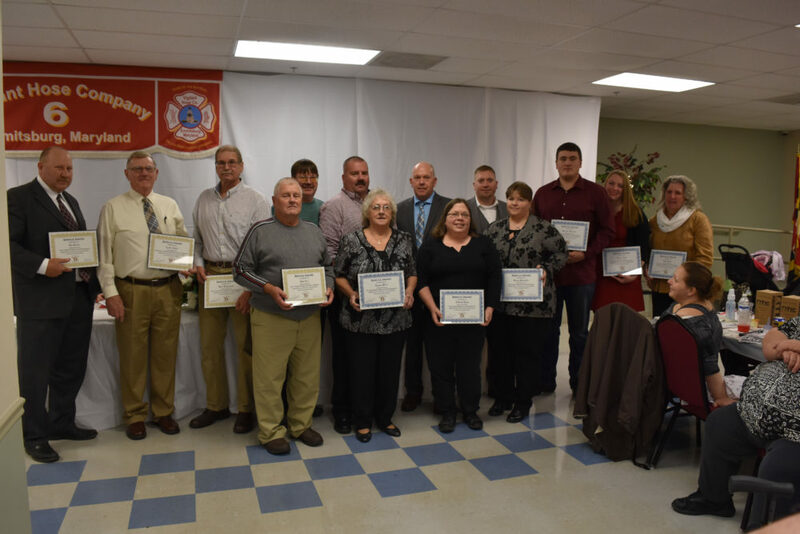 Length of Service Awards were presented: 5 Years—Jarrett Boyle, Brandon Burris, and Victoria Long; 10 Years—Elyssa Cool, Jean Javor, Jennifer Stahley, Penny Stonesifer, and James Wormley; 15 Years— Vance Click and Donna Miller; 20 Years—Scott Maly and Randy Myers; 25 Years—Doug Wivell and Dave Wilt (with 25 years, you get Life Membership); 30 Years—Tim Clarke and Steve Valentine; 35 Years—Gabe Baker, Karl Kuykendall, and Vince Boyle; 50 Years—Sam Cool; 55 Years—Austin Umbel. Top 10 Fire Responders: Tenth Top Responder—Randy Myers; Ninth Top Responder—Vance Click; Eighth Top Responder—Tim McKenna; Seventh Top Responder—Alex McKenna; Sixth Top Responder—Josh Brotherton; Fifth Top Responder—Jim Click; Fourth Top Responder—Matt LeGare; Third Top Responder—Dave Zentz; Second Top Responder—Frank Davis; Top Responder for 2018—Cliff Shriner. Top 10 EMS Responders: Tenth Top Responder—Patrick O’Hanlon; Ninth Top Responder—Dave Zentz; Eighth Top Responder—Elyssa Cool; Seventh Top Responder—Alex McKenna; Sixth Top Responder—Tim McKenna; Fifth Top Responder—Tom Ward; Fourth Top Responder—Cliff Shriner; Third Top Responder—Ingrid Hazbon; Second Top Responder—Josh Brotherton; Top Responder for 2018—Frank Davis. 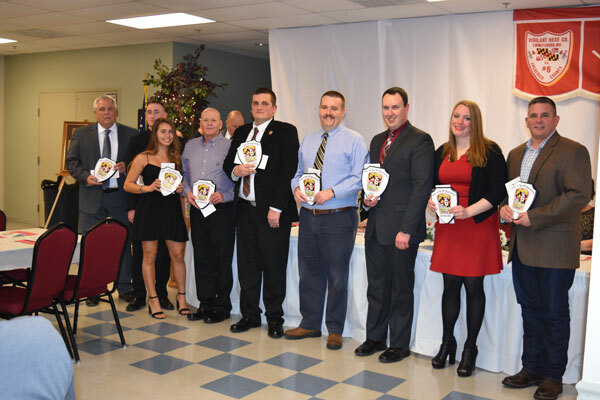 Top Fire Police Responders: Third Top Responder—Tom Vaughn; Second Top Responder—Sam Cool; Top Responder for 2018—Steve Orndorff. The 2018 Training Award was presented to Patrick O’Hanlon, who had the most in-house training and training conducted outside of VHC. Cliff Shriner was awarded the David Copenhaver Driver of the Year Award for 2018. Pam Ellison was awarded the President’s Award for 2018. As the VHC merged, Pam worked non-stop creating and updating personnel files, transferring membership, educating membership on the ins-and-outs of county programs, and made sure no one was left behind in understanding the LOSAP Program. Alex McKenna was awarded the Chief’s Award for 2018. Alex was instrumental in preplanning major target hazards within the Emmitsburg Community and building effective partnerships with key individuals in the community. No matter what assignment, you can be assured that Alex got it done. He’s been an outstanding role model for new members while they acclimate to the operations of the company. Mary Lou Little was awarded the Member of the Year Award for 2018. Tim Clark explained, “Eighteen months ago, Mary Lou identified a problem in the Emmitsburg Community with the delivery of emergency services. She came forward with a solution and brought with her an amazing group of individuals who were willing to give up their identity, as well as their assets, to become part of the VHC. Without a glitch, the two organizations became one, and now emergency services in the Emmitsburg area are stronger than ever.” With both organizations merged and working together, Tim continued, “We gained good business-driven individuals who put their skills together to manage a multi-million dollar corporation. Fundraising profits grew close to 25 percent since the consolidation, and she introduced us to a little game called Bingo. Through her organization, administrative, and managerial skills, and her desire to put the citizens of Emmitsburg first…” she was deserving of this award. The highest award to be presented at the annual banquet is the Hall of Fame Award. This year, the VHC inducted William D. Boyd, Jr. and Betty Ann Baker into the Hall of Fame, as well as Brooke Damuth (posthumously). William D. (Bill) Boyd, Jr. has served many roles since his joining the company in 1990. He’s received many awards and served many positions for the VHC, including gaining life membership in 2015. He took his membership seriously as assistant secretary, secretary, vice-president, director, and, currently, as administrative officer. He’s very active in events, especially the Spring Fling. He also continues as an active firefighter and fire truck driver. Betty Ann Baker has given countless hours and many years of dedicated service since joining the company in 1988. A valuable asset to the auxiliary, she has a strong family lineage who have also served the VHC; she serves as a strong matriarch within the entire VHC family. Brooke Damuth (deceased) was born in 1932 and joined the VHC in 1949 at age seventeen. He served in the U.S. Army during the Korean War. One of his favorite things to do each year was to work the VHC booth at the Great Frederick Fair. He passed in 2002. VHC Treasurer Steve Hollinger was roasted and awarded a plaque for his recent retirement after twenty-seven years with the United States Postal Service in Emmitsburg. The banquet concluded with a video of the VHC year-in-review. GT’s catered the banquet and the band First Class provided entertainment. VHC’s 2018 Hall of Fame recipients were Betty Ann Baker (pictured left) and Bill Boyd, Jr. (pictured right) with VHC President Frank Davis.